Is kiwifruit a smart choice when you’re looking to cut down on sugar? More and more health institutions and medical professionals are telling us that we need to cut down on our sugar intake, and be on the lookout for hidden sources of sugar in our daily diet. Eating too much sugar can contribute to consuming too many calories leading to weight gain that puts us at risk of health problems1. The type of sugars most adults and children eat too much of are "free sugars". These are sugars added to food or drinks and include sugars in biscuits, chocolate, flavoured yoghurts, breakfast cereals and fizzy drinks1. However, sugar found naturally in milk, fruit and vegetables doesn't count as free sugars. We don't need to cut down on these sugars, but remember that they are included in the "total sugar" figure found on food labels1. So what advice should you follow when you’re looking to cut down on sugar? Keep reading to find out why kiwifruit is a smart choice for those who want to follow a healthy balanced diet. Like all fruits, Zespri kiwifruit contains natural sugar, which does contribute to your daily intake. 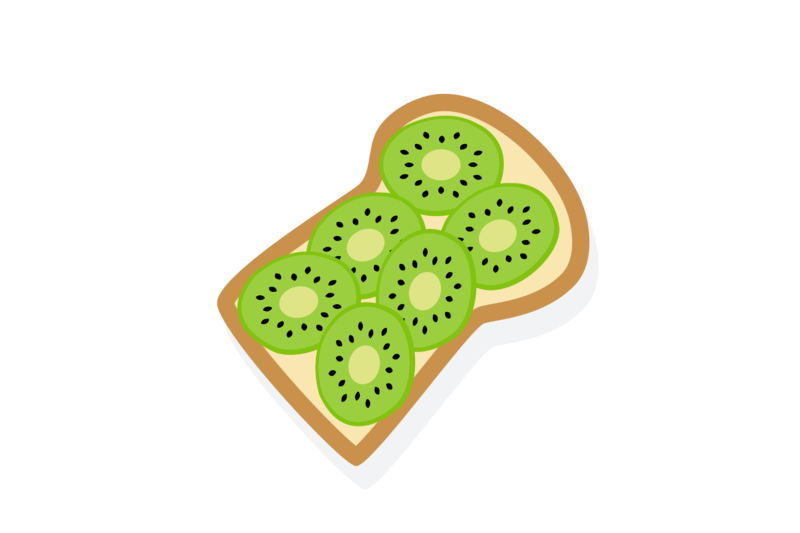 However per 100 g, the kiwifruit contains far less calories than sugary treats, such as biscuits (465 kcal / 100 g) and chocolate (500 kcal / 100 g). 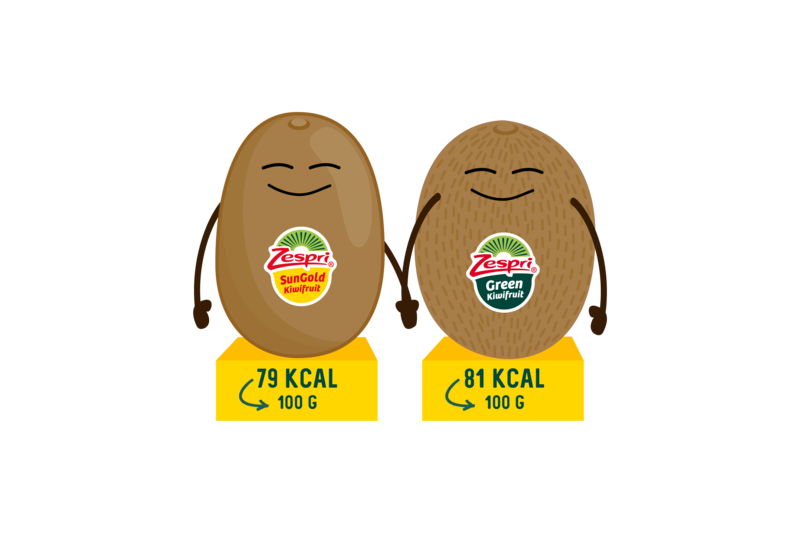 Zespri SunGold contains just 79 kcal per 100 g, while Zespri Green contains 81 kcal per 100 g. Furthermore, it is packed full of vitamins and minerals! This makes the kiwifruit a nutritious and delicious option for people trying to cut down on sugar. Due to its low glycaemic index (GI), Zespri Green has 39 and Zespri SunGold has 38, kiwifruit is a healthy option for people with a reduced tolerance to glucose, for example, people with conditions such as Type I and II diabetes and insulin resistance. In fact, eating Zespri Green kiwifruit with your breakfast can reduce and slow down the uptake of sugars into your bloodstream, which is good news for your blood sugar control. This also makes it the perfect lunchtime snack: no more post-meal slump! The glycaemic index (GI) ranks foods according to how they affect blood sugar (glucose) levels. Foods with a low GI value (55 or less) are more slowly digested, absorbed and metabolised, and cause a lower and slower rise in blood glucose. When you are trying to cut down on sugar, it can feel like temptation is everywhere. That’s why it is a good idea to have healthy, tasty snacks on hand when cravings begin. 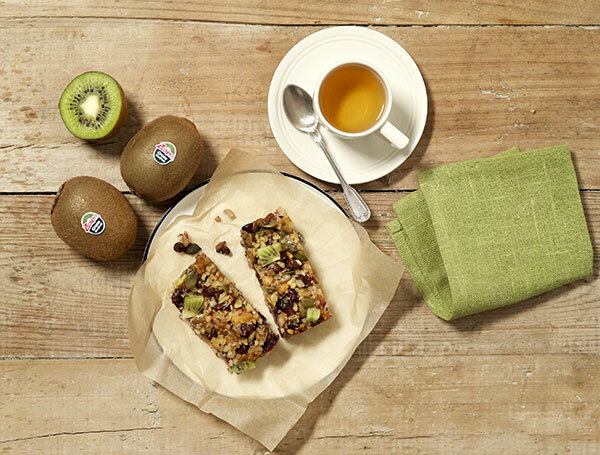 Take a look at this recipe for a Sugar-Free Kiwifruit Energy Bar, which not only tastes delicious but is bursting with vitamins and minerals, including fibre and vitamin C.
NHS. 2018. How does sugar in our diet affect our health? Available at: https://www.nhs.uk/Livewell/Goodfood/Pages/sugars.aspx#how-much (accessed 1 May 2018). Many commercially produced energy bars are very high in added sugar. Our homemade versions are packed full of natural sweetness and energy-dense protein making them a healthy and delicious, portable snack.